Replace white rice with brown rice. 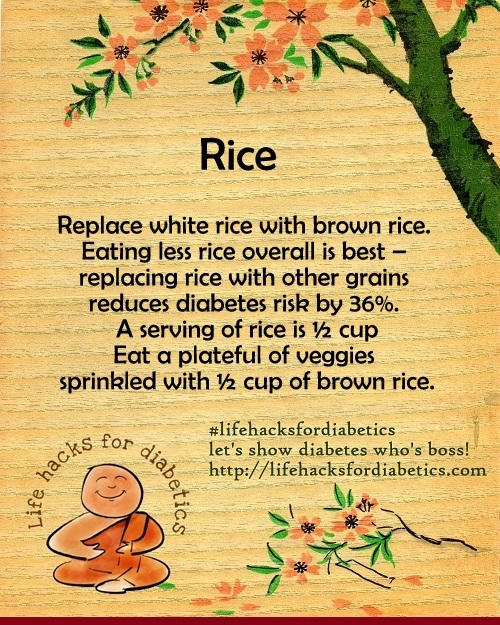 Eating less rice overall is best – replacing rice with other grains reduces diabetes risk by 36%. A serving of rice is ½ cup. Eat a plateful of veggies sprinkled with ½ cup of brown rice.